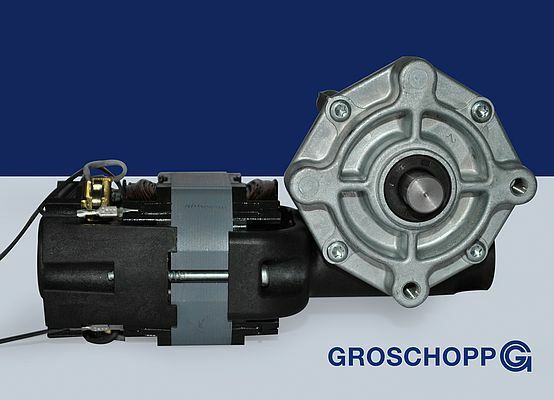 Comprising a commutator-motor and a reducer gear in a single housing, this compact drive unit from Groschopp saves space, mechanical components and assembly time. A skeleton type motor without a housing is used. The gear is integrated inside an AS-endshield. Designed for a 140W power output at 330 rpm, the drive unit is available in four different windings, with which eight voltage ranges from 24 to 250V AC/DC can be realized. The drive shaft is integrated with the reducer gear. Carbon brushes offer 10,000 switching cycles.